By Adam -- Some dreams start small. Some dreams continue to stay small for quite some time before they take flight. The saying goes “Big things come in little packages” and for quite a while small was the only size that came from Japan. 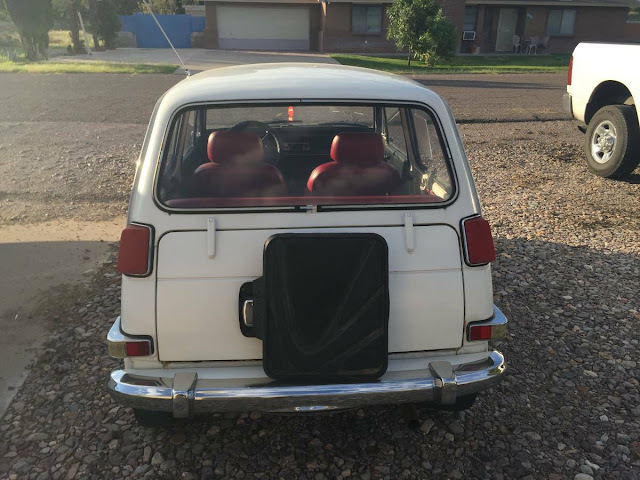 In the early 70’s if you drove something small, or from Japan, people might have thought something was wrong with you; then the fuel crisis hit. Maligned for their small cars when the rest of this country drove large land yachts, Honda persevered with their economy cars. While not collectible like European sporting models from the same years, nor as prestigious as a Cadillac or Lincoln, wouldn’t you rather drive something like this 1970 Honda N600 for sale on Craigslist in Farmington (Santa Fe) New Mexico for $5,000 than a newer plastic vehicle? For the save the earth types you can hit them in their holier than thou attitude with a difference in philosophy. They will pay big bucks for the new efficient car versus your recycling of an older, efficient car. The difference between you and them is, you make this look good! 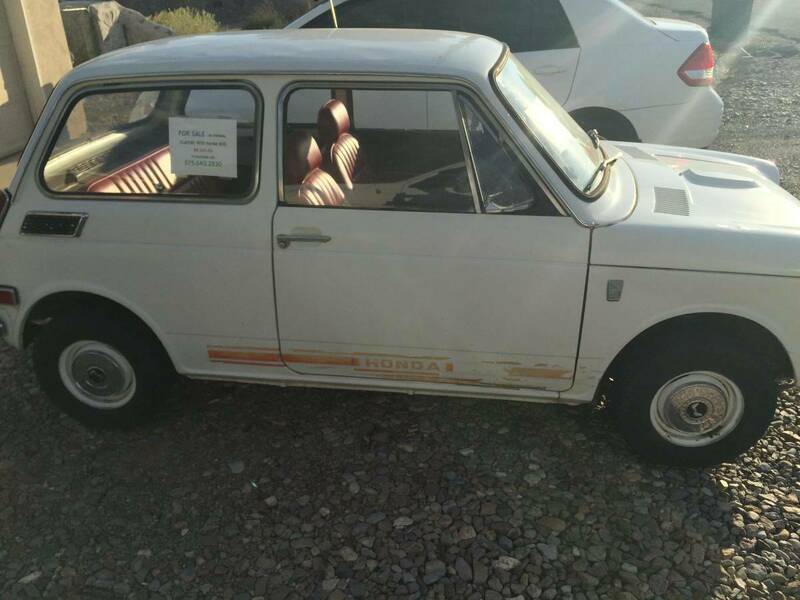 This diminutive white 1970 example comes from the first year for the Honda N600. The chrome bumpers look un-bumped which is always a good sign. Fog lights are intact and the paint looks nice and clean. A Santa Fe car should have a fairly solid body and have less rust than say, a car from Indiana. The photos appear clean without major indicators of damage. So far this car looks intact and worthy of a look in person, but the advertisement is not overly descriptive the mileage is listed as 66,000. Photographs of the engine would help, but when you have seen one 45 hp engine in an 1,100 pound car you have seen them all, right? After all, you can always stick a motorcycle engine in it, or try to swap a larger Honda engine under the hood, but why? This is pretty, pristine, and unique. With the size you can park anywhere. This N600 would be a great around town car or just for running to the store at a medium pace. 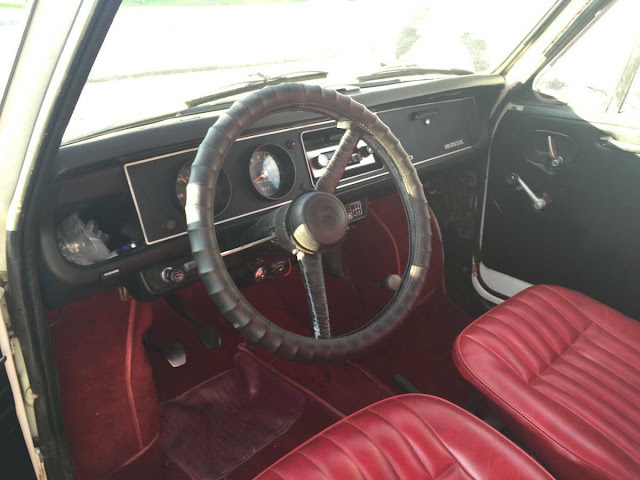 The interior looks pretty stock, clean and unmodified. 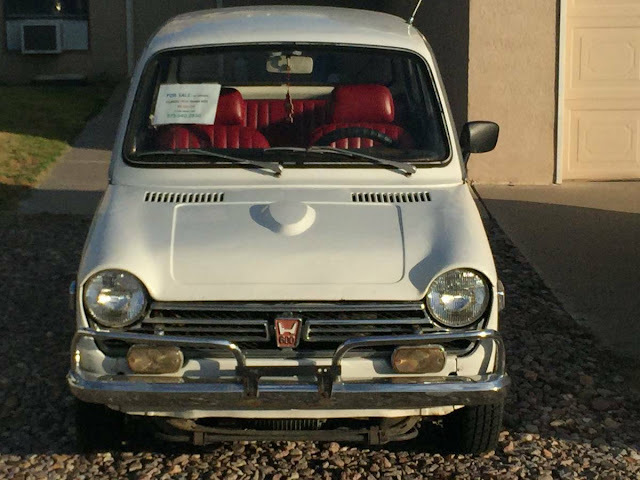 The Honda N600 is simplicity at its finest in a clean design which puts the wheels at the corner to maximize space without looking too much like a Mini Cooper. Honda got an early start making motors to power bicycles, then motorcycles and eventually working up to cars, and their preferred methods of improvement are more evolutionary than revolutionary. Over the years, Honda has focused on incremental improvements, but with the granting of the Production Certificate from the FAA for the Honda Jet on July 8, 2016 the company has produced a diverse mix of products. Saab may have started with airplane designers and promoted they were “Born from Jets”, but Honda is still marching forward and is still innovating and now can claim some aviation heritage. "Saab may have started with airplane designers and promoted they were “Born from Jets”, but Honda is still marching forward and is still innovating and now can claim some aviation heritage." "Here at Mitsubishi, we'd like to remind you that being shot at by our war planes was better than living with the Mirage. We apologize and invite you to try 0% APR on an Outlander"
BMW and Daimler Benz probably want to avoid bringing up their wartime aviation heritage as well. Say it like Schultz: We know nothzzzing abut theees. Yeah my Polish grandmother who spent time in a German work farm during the war and German American GI grandfather just shook their heads when I bought a 79 VW Bug convertible.